…but who doesn’t enjoy numbered lists?! How often do you get to smell that mountainy camp smell? Your smeller will surely miss it. Whether you see them all the time, or only once a year at camp – CSA is like a friendship gym where bonds grow stronger every day, even if you don’t stretch beforehand! Yeah, we said it, and you read it. You know you can’t miss Scarf. How in the world is your buddy going to eat without you during Feed Your Buddy Lunch? Their food will just sit there while yours falls onto the bench! Never-before-seen skits, songs, and surprises! We want to tell you what it is sooooo badly, but we’ve been forbidden by this year’s Spirit Co-Directors, Jess & Sean, or “Seanica,” as the tabloids call them. This could be the year you dare to climb the pole, or finally reach that bell! Because if you don’t know, then you’ll know nature, and it’s all natural nature notes from Bright Winn, Nature Guy, aka Woo, Nature Boy. Sure, you can have s’mores at home, but there’s nothing like s’mores at Camp St. Andrews’ campfire. And there you have it! Eleven things you won’t want to miss at CSA 2017. So if you haven’t registered yet, jump on it! There’s currently room for a couple more campers in each age group. And if you have already registered, don’t forget to BRING A FRIEND. 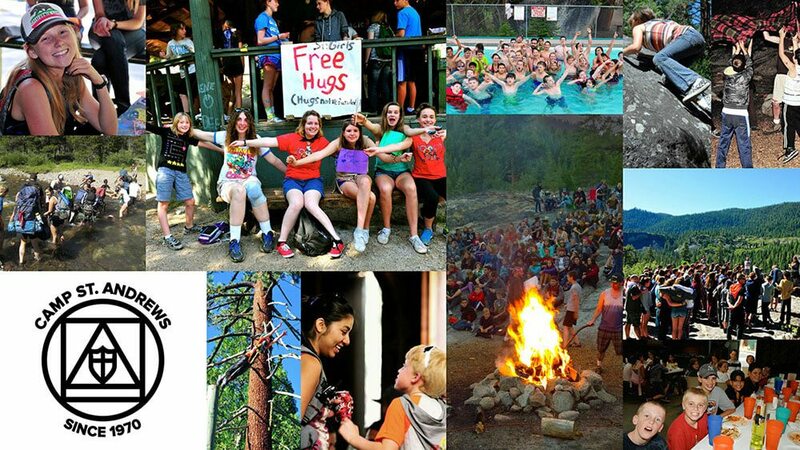 You’ll get $40 off your own camp fees for each new camper you bring! CSA apparel and accessories are now available in the CSA Merch Shop! Numerous items in multiple color options and sizes. All proceeds go to camperships for underserved children.